Retiring Gear: When Is Enough, Enough? A series of recent articles posted over on BackcountryBeacon.com discussing when to retire gear hit home with some questions and concerns I’ve had lately about my own gear. I’m a first-time owner for much of my gear. I just purchased my first rope a few months ago, right along with my first set of draws; I purchased a few slings and some spare carabiners to make alpine draws and my PAS – everything I needed for sport climbing. Albeit just a few hundred dollars worth of gear, I can’t fathom replacing any of it already. I certainly don’t look forward to replacing expensive cams on a regular basis. My lack of enthusiasm for replacing gear is largely due to my financial situation – I don’t make a lot of money, especially for where I live. So replacing hundreds of dollars in gear every year is hard for me to stomach. But when enough is enough, will I be able to replace my gear? I’m scared to think that the answer might be “no” and that might not change until either myself or someone I’m close to suffers the consequences of using gear that should have been replaced. That’s a scary thought, I know. The prospect of seeing anyone hurt by damaged or unsafe gear scares me a lot. But the reason I’m afraid I won’t replace gear that isn’t obviously broken is because I’m still using my harness that I bought in… 2002, I believe. Nylon has an ideal shelf life of about 10 years. 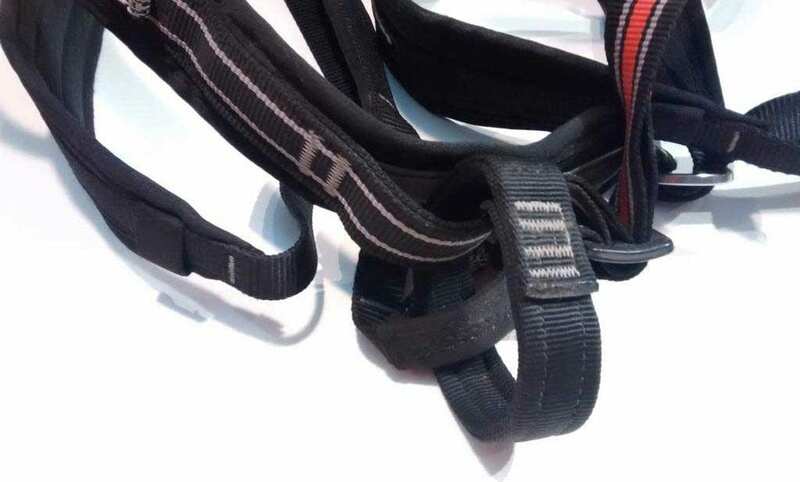 This is how long a harness will maintain it’s strength if it sits in a climate-controlled room without ever being used or exposed to sunlight. 10 years. I’ve been using mine on-and-off for 8 years, meaning I should probably have purchased a new harness when I got back into climbing regularly – about 2 years ago. I’ve had a couple of discussions about it with my girlfriend, who has strongly recommended I purchase a new harness. But I haven’t been able to pull the trigger because my harness SEEMS to be functioning just fine. Maybe what I should be doing is taking advantage of the free shipping offer over at Backcountry.com right now. As for the rest of my gear, I’ll be bookmarking these two articles from Backcountry so that I can remind myself to check my gear regularly AND so that I know what I’m looking for. I would retire a harness every 3-5 years or every 300 or 400 pitches. Your belay loop is a single point of failure!